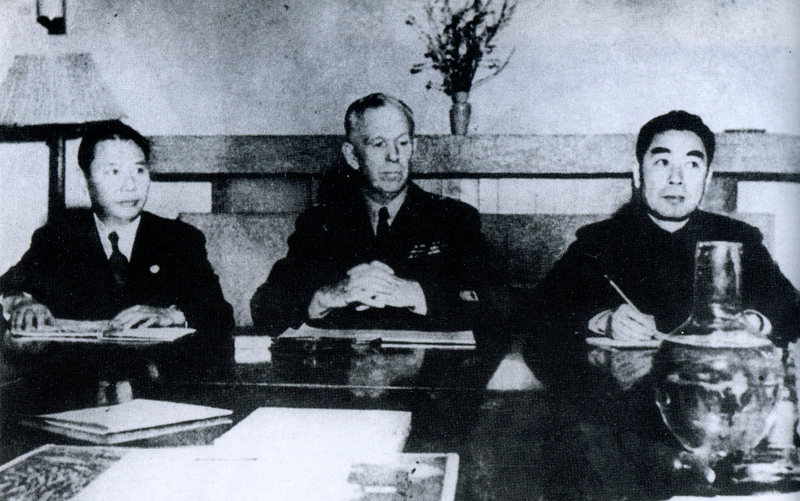 From left, China Nationalist representative Zhang Qun, George C. Marshall and Communist representative Zhou Enlai in 1946. What were U.S.-China relations immediately after World War II? 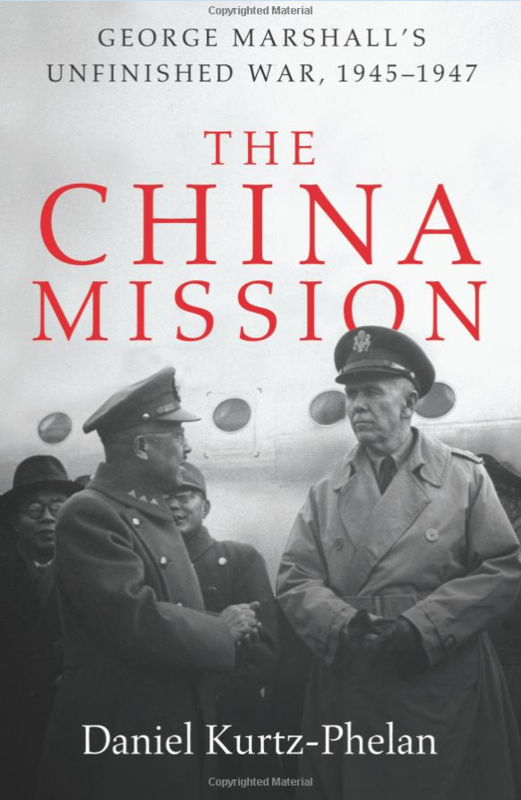 In December 1945, Five-Star General George Marshall came out of retirement to help usher in a new era of political stability in China. China had finished a long war with Japan, and had its own internal struggles between nationalists and communists. – Who was George Marshall? – The situation in China following World War II. – China’s leadership under Chiang Kai-Shek. – Marshall’s strategy in China. – Marshall’s relationship with China’s Communist leaders. – America’s interests in China. – The role of big power politics in China between the United States and the Soviet Union. – The outcome of Marshall’s mission. – The legacy of Marshall’s mission and how it connects with President Nixon’s historic trip to China in 1972.